The CCNP training course certifies a network professional's ability to install, configure and troubleshoot converged local and wide area networks with 100 to 500 or more nodes. Network Professionals who achieved CCNP certification have demonstrated the knowledge and skills required to manage the routers and switches that form the network core, as well as edge applications that integrate voice, wireless, and security into the network. 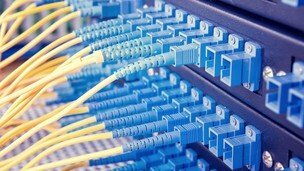 Participants must have completed the CCNA training course. ROUTE – Students will learn how to use advanced routing to provide scalability for routers that are connected to LANs and WANs. SWITCH – Students will learn to plan, configure, and verify the implementation of complex enterprise switching solutions for campus environments. Network technician and Deployment engineer System Engineers.